The Universiade is an international sporting event organized by FISU (International University Sports Federation). Held under FISU’s motto, ‘Excellence in Mind and Body,’ university students from around the world participate in this event to advance the development of education and culture, build friendship through sport, and honor sportsmanship. The Universiade is held every other year on odd-number years. As a multi-sport event with international participation from university students, it is the largest sporting event after the Olympics. 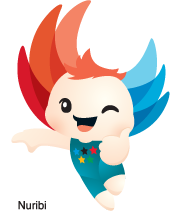 The event is divided into the Summer Universiade and the Winter Universiade with each being held in different cities. To be eligible to participate in the Universiade, athletes should be undergraduate or graduate students between the ages of 17 and 28 as of January 1 of the year the Universiade is being held or have graduated in the year immediately preceding the year of the event. Universiade records in most sports, including track and field and swimming, surpass those of the Asian Games, and in most countries, university athletes are nurtured as the next-generation leaders in sport. Gwangju, the city of light, will illuminate the world’s future. The Gwangju Universiade’s English slogan, ‘Light Up Tomorrow,’ represents the city’s identity derived from its name, the town of light, its position at the center of 21st-century high-tech industry, and the challenging spirit and passion of the world’s youth on display at the Universiade. It combines ‘light,’ the image of the Gwangju Metropolitan City, and ‘future,’ the symbol of the Universiade, to clearly capture the high expectations for a superior, well-executed event and the challenging spirit of youth, the two foundations of the Universiade. This English slogan also symbolizes Gwangju’s effort to help brighten the future of the world through the Universiade and, the event’s value. It signifies the city’s intention to create momentum for sustainable development toward a better future. The Korean slogan, ‘Light of Creation, Light of the Future,’ captures the will of Gwangju, with its banner ‘a creative city where all citizens are happy,’ to set new standards for the Universiade with creative event organization. It emphasizes that the Universiade is more than a sporting event and can provide the world with direction for the future. 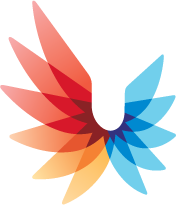 The Gwangju Universiade emblem “Wings of Light” is shaped like a “U”, the symbol of the Universiade, extended into outspread wings.It represents the passion of athletes flying beyond limits, the dynamic atmosphere of sport, and the harmony of nations, together with Gwangju’s soaring flight into the world. The five blue wings on the right refer to the five oceans and the six red on the left to the six continents. The overlapping light denotes the harmony and friendship among the world’s youth in the Universiade. The soaring U-shaped wings emitting light symbolize Gwangju’s soaring flight as a global city and its wish for ideals and victory through the Universiade. The name Nuribi is a combination of the Korean words ‘nuri’ for world and ‘bi’ for fly. Nuribi is a messenger of light and a bridge of communication amongst the world’s youth. It serves as a symbol to introduce the ‘EPIC’ vision of the Gwangju Universiade: environmentally-friendliness, peace, IT, and culture. It also represents the unfolding wings of creation to deliver the ‘light of Gwangju’ to the world. The meeting of Universiade, the sports festiva of the world’s youth,and Gwangju, a city of passion, promises the most creative event ever. The 2015 Gwangju Summer Universiade will realize the values of humanity’s harmony and co-prosperity beyound sports and identify a new vison for Universiade. University students from around the world will be reborn through this creative experience. 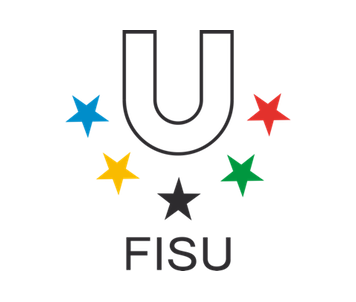 Founded in 1949, FISU stands for Federation Internationale du Sport Universitaire (International University Sports Federation). Its headquarters is located in Lausanne, Switzerland.FISU’s main responsibility is the supervision of both the Summer Universiade and Winter Universiade, as well as the World University Championships and other international university sporting events. The General Assembly, representing member countries’ National University Sports Federations, together with the Executive Committee make all the necessary decisions for FISU’s operation including the selection of Universiade host cities. A number of permanent committees advise the Executive Committee in specialized areas, thus facilitating its duties. FISU is funded through subscriptions, income from event organization, entrance fees, income from broadcasting rights, marketing activities, and such. There are 167 FISU member countries as of 2013 including 47 in Europe, 37 in Asia, 31 in the Americas, 42 in Africa and 10 in Oceania.